We have covered the best outfield gloves in the previous reviews published on our site. 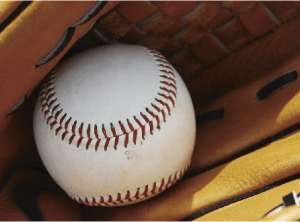 In this article, we take a look at the top 6 baseball outfield gloves for the 2019 season. With these reviews, we hope you will be able to make a more informed decision and choose a glove that is a right fit for you. Rawlings is renowned for producing reliable baseball products. This reputation extends to the baseball gloves manufactured by the company as well. It is no surprise then that the first item on our list is an outfield glove from Rawlings. This adult outfield glove from Rawlings has a web size of 12.75 inches which makes it suitable for professional players. The glove features a conventional open back design and is designed for a left-handed thrower who would wear the glove on the right hand. Rawlings has used the famous Heart of the Hide leather in crafting this glove. On the inside of the glove, the palm features soft full grain leather which combines durability and comfort. The same soft leather is also used on the lining along the back of the fingers to reinforce the glove while ensuring maximum comfort. This glove features the gameday pattern of Bryce Harper. The leather lacing used on the glove has been tanned in the USA to ensure the highest quality. Available in Brown & Tan colour, this glove requires very little time to break in and delivers top performance on the field. Marucci has been a long-established brand in the world of baseball manufacturing. The company is known for not just creating high-quality products but offering these products with outstanding finishes and looks. This reputation is well reflected in this HTG Series outfield glove from Marucci. The glove is available for both left handed and right handed throwers. It features premium-quality steerhide from the USA that has been tanned in Japan for perfect finish and durability. On the inside of the glove, Marucci has designed the heel padding to be thin yet durable and comfortable. This gives the glove a more game-ready feel and minimizes the time required to break it in. The glove features a deep pocket which helps players secure the baseball more effectively. On the back, the open-back closure improves the overall weight and balance of the glove. This glove is available in 12.75-inch size. It is geared at professional players seeking to ramp up their outfield performance. The third glove in our list is another offering from Rawlings. As we said earlier, Rawlings gloves are top-of-the-line in every sense of the term which is why we are compelled to include more than one product from the company. The Heritage Pro Series gloves are crafted from high-quality double-tanned leather shell for excellent durability. The inside features moldable padding which brings an exceptional degree of comfort and convenience to these gloves. The palm lining of the gloves feature deer tanned plus cowhide. To add to it, Rawlings has used split leather welting to make sure that the pocket structure stays put for a long time. To keep the whole glove together and ensure long-time durability, the glove comes with Tennessee tanning rawhide laces. The glove is sized at 12.75 inches and has a pro H-web pattern. It stays dry on the players’ hands thanks to the thermoformed wrist strap that lines the inside of the glove. Rawlings has designed the glove so that it requires very little break-in period. This means that you can have the glove game-ready very quickly. This glove combines quality, performance, durability and comfort, and is meant for the elite outfield players looking to improve their game. Here is a second product from Marucci that we are including in our list of best outfield gloves of 2019. The reason is simple: this glove features the exceptional degree of quality and finish for which Marucci is specifically known. The BR450 glove is designed for the left-hand thrower. In other words, this glove is worn on the right hand. Marucci has used genuine steerhide shell leather in constructing the glove. This offers dual benefits: the glove is incredibly comfortable and at the same time, it is durable. On the inside, the glove features soft internal padding. The soft padding ensures that the glove is easy to break in while offering superior comfort and feel. Handcrafted to make sure this glove meets the standards of the Pro Game, BR450 utilizes professional USA-tanned laces. To ensure optimum performance on the outfield, the glove features a medium-deep pocket. This allows outfielders to catch fly balls while also making sure that they can throw the baseball quickly and without any delays. On the outer shell, the glove features soft fabric fingerback linings. This feature reinforces the outer structure of the glove while adding to the comfortable feel of the gloves. B45 is one of those companies that has a very good presence, and yet is not very well-known. 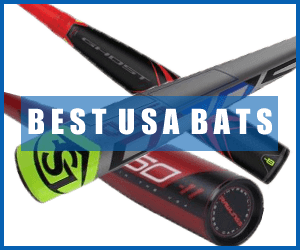 Nearly a hundred professional players already use their high-quality bats. Among other baseball accessories that the company makes, its gloves truly stand out. This outfield glove from B45 features great quality and dashing looks, thanks to its iconic black colour. The glove is constructed from 100% quality leather and is entirely handcrafted. A slight downside to this is that the glove may take some time to break in. On the upside, this ensures that the glove is extremely durable and long-lasting. B45 has used web-style trap on the glove. This helps players catch the ball and retain it more effectively. The glove is sized at 12.75 inches and is designed for the right-hand thrower, which means that it is worn on the left hand. If you are looking for gloves that truly stand out on the field, look no farther. This uniquely designed outfield glove from Vinci combines performance and stand-apart looks. So it is perfect to touch up your game with style. Constructed from high-quality steer hide leather, this glove is handcrafted for a durable finish. It is able to maintain its shape over long periods and will withstand rough use, wear and tear with minimum damage. To add to it, Vinci has used thumb and pinky loops as well as thumb and pinky supports in this glove. These features ensure that the glove keeps its shape. On the inside, the gloves features high-quality deer tanned cowhide lining. The lining adds comfort to the feel of the gloves so that they are a luxury to wear and use. The AB7400-22 glove is crafted with deep pockets. These ensure that you are able to catch and retain the ball very effectively. It is reduces ball spin and prevents it from escaping the glove. Breaking in this Vinci glove might take some time. Vinci offers a special glove conditioner along with this glove. The conditioner lets you break in the glove sooner and make it game-ready very quickly. Sized at 13 inches, the glove has a flex closed back and white leather laces which creates its signature looks. It is available for the right-handed thrower which means that it is worn on the left hand.